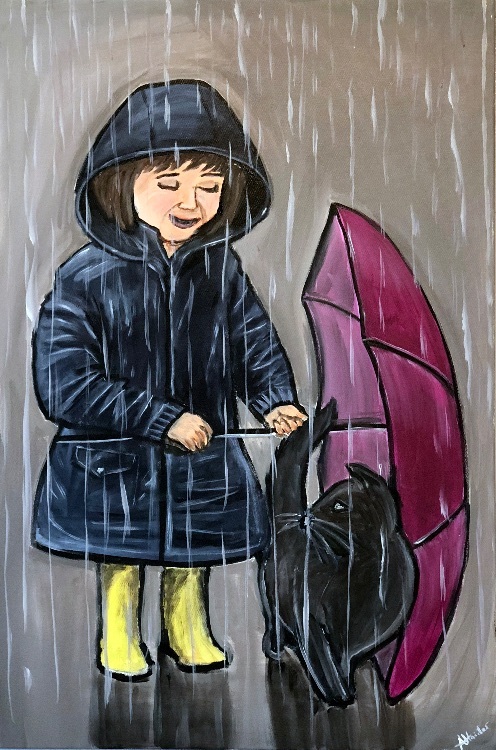 A heart warming painting depicting a little girl giving shelter to a cat from the rain. This painting has been signed by the artist and continues over the sides so it may be hung without a frame. The painting has been varnished with gloss for protection and will be carefully packed into a custom made box and delivered by a tracked courier within 2 workings days within the UK. Deliveries outside the UK will take up to a week.